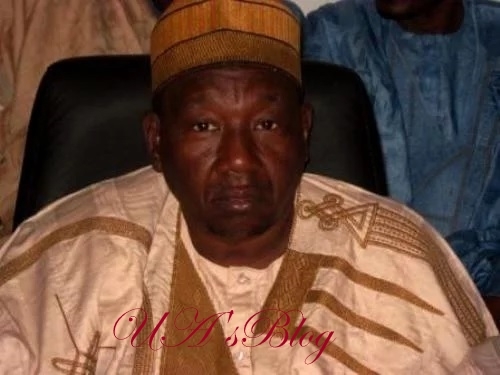 Shehu of Borno, Alhaji Abubakar Umar Ibn Garbai Elkanemi, has dismissed claims by security operatives that the ongoing military operations, particularly in some parts of the state and the Lake Chad Region, was yielding positive result. He insisted that even in Maiduguri, the Borno State capital, residents and farmers cannot move out of the city beyond a few kilometres without being killed or kidnapped by insurgents. The monarch stated this yesterday when President Muhammadu Buhari paid him a courtesy call at his palace in Shehuri, Maiduguri. The Shehu of Borno, while applauding President Buhari in the fight against Boko Haram, said there was much to be done for the people of the state to be free from terrorists atrocities. “It is unfortunate that despite all efforts put in place to restore peace in our land and the North East, we the people of Borno State are still under Boko Haram siege. “Nobody can dare move out of Maiduguri by 10 kilometres without being confronted/attacked by Boko Haram. “Quite a number of farmers are being killed and kidnapped on a daily basis around Molai General Area, which is just 10 kilometres away from the metropolis, along Maiduguri -Damboa -Biu road. “Most of the surrounding villages and communities in Konduga, Damboa, Mafa and other local government areas have been razed down in the last two weeks.